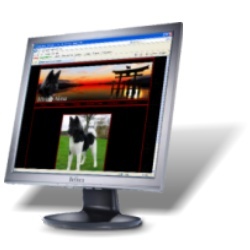 Before designing a site we will give you an assured maximum cost. This is a cost for the site, design, graphics and images. No hidden extras, no skeletons in the closet. We work our pricing different from many other design companies. year one costing's have the higher rates as this includes the design of the site which is the major cost of any site. Following year one our prices drop considerably as your site will be down to care and maintenance and not incurring a lot of labour intensive work, therefore the costs are significantly lower. Every site is different requiring more or less work than others therefore we do not give a fixed price per page. When quoting for site design we quote for the whole site as a package, including graphics, logo's and any other work that may need to be included. To give customers an idea of costs an example can be found below. In addition our fixed prices are also listed. A customer came to us with the following site outline; Approximately 20 Pages, with guest book and contact forms, one domain name (.co.uk) was needed along with 3 email addresses attached to the domain name. Our pricing was as detailed below. The site was mainly text with all picture content provided. As you can see from the illustration above our price for the individual was very competitive but what our customers like is once the costs of initial design are out of the way the annual running cost of the site drops to less than 30% of the start up cost of the site. For a considered quote for your site contact us using the enquiries page.